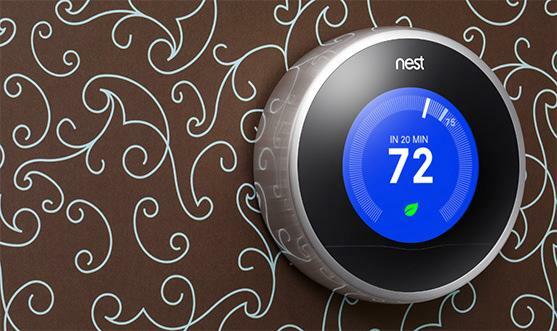 When Nest, the “learning thermostat,” first launched, people were intrigued by the idea of a completely revamped household gadget that not only looked cool, but could save you Benjamin’s off your annual energy bills. The original Wi-Fi-connected Nest, as you may have heard, is the product of Tony Fadell, Apple’s former senior vice president of the iPod division who oversaw the iPod development between 2001 and 2009. Which explains why the Nest looked so awesome and intuitive to use with its touchscreen capacity and colorful backlighting. 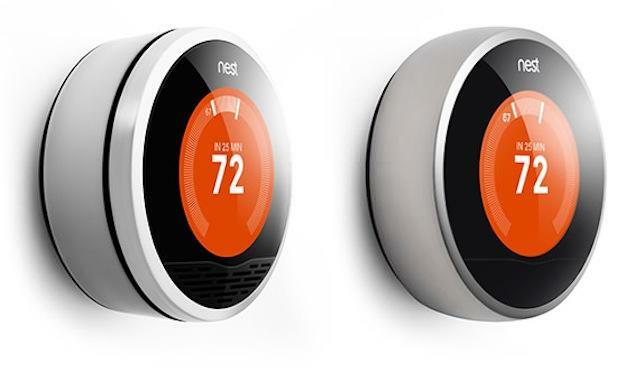 The new Nest will also upgrade to the 3.0 software which will include more languages and temperature presets. For example, the Early-On feature allows you to set a desired temperature for a certain time, but instead of the thermostat turning on at 6 a.m. sharp as scheduled, Nest will put the heating early on so your room gets to the set temperature by 6 a.m. Another feature, True Radiant, also learns how long it takes for your boiler to heat an entire room up so it will know when to automatically turn on to get your desired temperature at a specified time. This way, you don’t have to wake up at 3 a.m. to make sure your room is warm by 6 a.m.; Nest will figure out the timing logistics for you. Nest also comes with new Android compatibilities, making it available on the latest Android tablets such as the Nexus 7 and Kindle Fire HD. The Nest hardware is also 20 percent thinner for those who prefer a cleaner, less bulbous wall space. After all, traditional thermostats are relatively thin and the Nest had a lot of hardware to stuff inside its pretty circular shell. The upgrades aren’t particularly ground-breaking, and those who own first generation Nests can upgrade to the 3.0 software starting tonight. But if you haven’t invested in the gadget just yet, the second-gen Nest will be available later this month for $250 while the first-gen Nests will bump down to $230. Obviously, with the small price different, first-gen Nests won’t be around much longer … but if you feel the need to save that extra $20, the device will be available at Apple Stores, Lowe’s, and Amazon while supplies last. Is Russia's Yandex beating Google at its own game?